The SHAC are Back at The Lagoon! 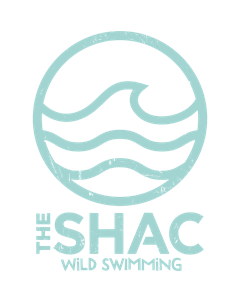 The SHAC Lagoon is now open and we look forward to welcoming you for our Stand Up Paddle Boarding and Open Water Swimming Adventures in 2019. Open Water Swim Sessions and introduction courses Now available to book online: Click here to book your session or course online. Open Tuesday and Friday Evenings and Sunday Mornings. 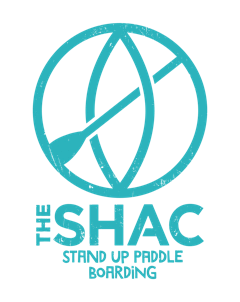 The SHACs SUP River Safaris is one of the best ways to see the beautiful waterways of Surrey, we operate in partnership with the National Trust on the River Wey and River Mole. Next Safari is Monday 6th May. Click here to book your place. Our first introduction to SUP yoga at Sunset Course is at the Lagoon on Friday 26th April. Click here for more details and to book your place. 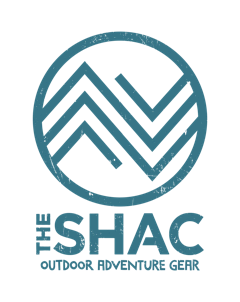 The SHAC can now supply you with the kit we use for our adventures; Paddle boards, wet suits, adventure clothing and more. Come and try before you buy. Please ask for details. Wigwam Woods - Bramley and The River Wey Navigations. Come and enjoy the ancient practice of Yoga combined with Stand Up Paddle Boarding! These classes take your favorite yoga routines and put them on the water! Yoga practice brings balance and restores all bodily systems by creating physical, mental and spiritual harmony. Both yoga and stand up paddle boarding are great for building better balance, coordination, endurance, and body strength! Combining the two achieves simply amazing results. First Session of the Season Friday 26th April. £30.00 inc VAT, Instruction and equipment. If you wish to bring your own board the cost is £18.00 inc VAT. 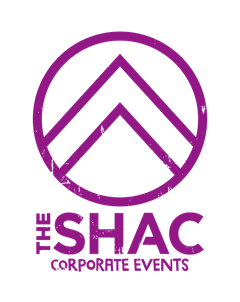 The SHACs SUP Yoga Instructor "Sasha" is an experienced and qualified BSUPA SUP Instructor and a 500 hour Yoga instructor as well as a Pilates instructor and personal trainer so they dont come much better than this. Come and join Sasha on the water every Friday at 6.30pm. De-stress from your working week with Sasha on a Friday and kick start the weekend and join us at the idyllic SHAC SUP Lagoon for SUP Yoga, where we take a traditional yoga class onto the water and the paddle board becomes your new floating yoga mat! Yoga on water, takes your session to a completely different level, on many levels! Set against the background of chirping frogs and birds and with the swans and their goslings cruising by, feel your heartbeat lower and a smile light up your face, plus by being exposed to the elements and having to adjust to the movement of the board on water, you will maximise your core stability throughout the entire class. Complete beginners through to experienced SUPers and yogis can take part in this. No special clothing is required, although wetsuits and buoyancy aids are available if you prefer. "The Surrey Hills Adventure Company Holiday Adventures are located @ Belmont Preparatory School, Holmbury St Mary and New for 2019 our New Site Wigwam Woods at Birtley House Estate Bramley. 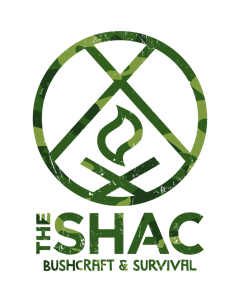 The SHACs Woodland Adventure Days are an innovative, proven way of allowing young people aged between 6 and 12 years old to develop and grow by spending time outside in a safe and supportive environment. We encourage our young attendees to be free whilst engaging them in valuable learnings that come from spending time outside in a natural environment, this is supported by an extremely well qualified team with years of experience in the outdoor education sector helping young people to learn new skills, make new friends and have some time for freedom of mind. To support this we have a strict “No Tech” policy. 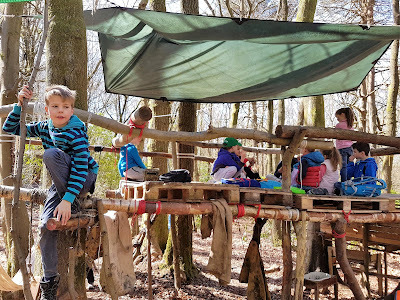 Our Adventures are based on the true principles of “Forest School” teaching techniques, proven to increase children’s motivation, confidence and communication skills but with a massive emphasis on fun and freedom. The young people in our care get to really choose how they spend their time with us. We supply the knowledge and experience but we will be led by them in order to deliver what it is that they want to do with their time with us allowing them to make decisions and lead the way for us to follow. 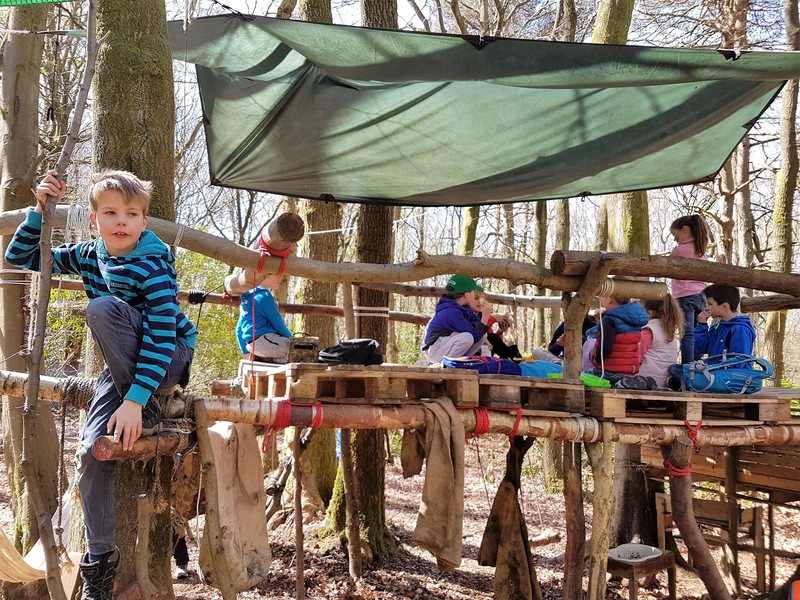 Your child will take part in engaging, motivating and achievable tasks in a safe woodland environment with a team of instructors that are 2nd to none in this environment. They will have the opportunity to learn about using tools and managing campfires, experience real Bushcraft techniques, join in with wide games that encourage independence and learning, build dens and shelters, rope swings, natural crafts, bridge building, wildlife spotting and tracking and hammock time! Time for young minds to develop and process. Accompanied by fully trained instructors, they will make new friends and learn new skills whilst having huge fun guaranteed. We are not here as child care we are here to assist in the development of young people that care about the environment and want to learn more without knowing they are learning. The general age range for young people attending our woodland adventures are from 6yrs - 12yrs old and children are with us from 10.00 am until 4.00pm. (packed lunches and suitable clothing will need to be supplied by you) We run our adventures in all weathers with the exception of high winds and Lightning storms. The SHACs SUP River Safaris, taking paddle boarding to the next level. (If you need to complete an introduction to Stand Up Paddle Boarding course before booking a SUP River Safari Class we run regular sessions at the SHACs SUP Lagoon Near Reigate Surrey - Please click here to book a intro session. The SHACs SUP River Safaris are for paddlers that have limited experience of SUP River Paddling or experienced paddlers that enjoy the social side of paddling and exploring new locations and are a great way to learn about the rules of the river and the dangers that can be around when paddling rivers in the UK. Our SUP Safaris Run on Canal Sections of the River Wey near Guildford and is the one to choose if you are a first timer on the River. The cost of our SUP safaris is £65.00 per person including VAT, equipment, River License, Insurance and Qualified SUP Guide. Got your own board? No problem we'd love to welcome you along and maybe teach you something new, cost of Safari with own board is £45.00 including VAT, River License, Insurance and Qualified SUP Guide. To view the kit list for the day please click here. Simply select location, Click on "Click Here To Book" above, add how many places you want and all the dates you want and they will be added to your basket. The SHACs Mid Winter and Valentine SUP River Safari. Only 45mins from central London to the start location by train and foot. Train to West Byfleet Station from Victoria then a short and beautiful river side walk. Why not book a table at The Anchor at Pyrford Lock for a romantic dinner after the paddle? Simply select how many places you want and all the dates you want and they will be added to your basket. Located at our base-camp at Belmont School in the heart of the Surrey Hills. We travelled to Inverness from London Gatwick with a short up and down and a quick transfer. We found ourselves in the pretty little coastal village of Garmouth where Scotland’s fastest flowing river - The River Spey - meets the ocean. I soon discovered I was in SUP heaven for the wild paddle boarder. My first paddle out was at ‘Spey Bay’ where dolphins congregate at the river mouth at high tide to feast on the busy salmon making their way to the ocean. Spey Bay was a simply stunning location where spectacular beauty and wildlife meet and become one; where the osprey and eagles fly and mountain meets coast, river meets ocean and salmon meet dolphin. Both sides of the river mouth are equally spectacular for the wild paddle boarder offering interesting and challenging river riding and SUP surfing with a long clean wave. The sunsets here are stunners and a must see. I'll be back for sure. That afternoon following my idyllic intro into wild SUP on the East Coast I did a little research online to find some white water locations and came across Aquaplay Scotland located in nearby Rothes. Following a brief conversation with Jim the proprietor he invited me to join him and some friends for some white water SUP on the Findhorn River, I couldn't believe my luck and I rolled up my board and set off to meet him. Jim and his wife couldn't have been more hospitable and they took me to a spot they know well where the river runs free and the rapids are big and exciting. Tamdhu is a favourite spot for white water rafters and canoeists alike and Jim has spent years mastering this area on his paddle board. I had a crack at riding The Findhorn’s wild waters. Words cannot explain the levels of excitement and enjoyment I experienced at Tamdhu and I cannot wait to get back there again for more fun on the fast moving water amongst the rocks of the stunning River Findhorn. Our next destination was Loch Insh high up in the Cairngorms National Park This is a land full of enchanting lochs, dramatic mountain landscapes, meandering rivers and fast flowing icy rapids, it just gets better and better. I didn't quite know what to expect but was completely blown away by the diversity of the paddling and surrounding landscapes and the unexplainable beauty of the routes I was lucky enough to experience. The Findhorn, The Spey and The Lossie all hail from the Cairngorms offering so many interesting opportunities to paddle, this combined with a network of Lochs to choose from and you really are spoilt for choice. You’ll be itching to pump up your board more times than your arms will allow. The most amazing thing about this part of Scotland for the wild SUP adventurer is that there is so much to offer and such a variety of paddling in a relatively small area. My advice is to follow your nose and seek out the paddles that are so frequently presented to you whilst being respectful of the wildness of these ancient and beautiful lands and just as respectful of its dangers with conditions changing in minutes from idyllic to hairy to say the least. Stick to the basic safety rules of wild SUP and exploring wild places and you won't go far wrong. If you are new to mountain biking or have been riding for a while and would like some coaching to increase your confidence and improve your technique then this is the course for you. 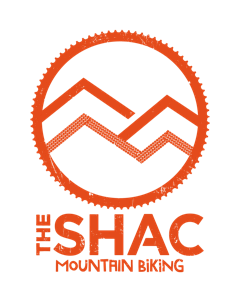 The SHACs Mountain Bike courses have been designed to build confidence by re building your riding position and instilling the fundamental skills required to ride a mountain bike which are generally not taught to us when we learn to ride a bike. Once the changes have been made it will allow you to ride with more flow and confidence than you ever thought possible. The courses are 3 hours long and cost £60.00 including VAT. Next Session Wednesday 24th April 10am - 1pm. We can offer places on a gift voucher basis if required as a great alternative gift. 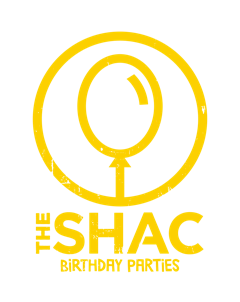 1:1 and bespoke private sessions are also available for groups and families with a minimum booking of 4 people, please email info@theshac.co.uk for more details. The SHAC "Skills In Hills'" MTB Development program, developed to introduce riders to the trails in the Surrey Hills and install core skills that will help you stay safe yet enjoy the fantastic trails we have in the Surrey Hills to there maximum potential. The program uses an 8 point riding development structure that was developed over a number of years and includes the following elements. 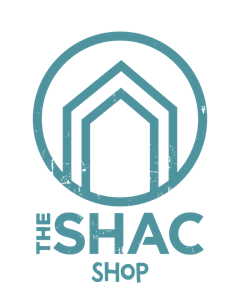 You Facebook https://www.facebook.com/theshac.co.uk you will find pictures and feedback from clients that have already started the skills in the hills programme with us.